Themistors/Probes can be completely customized. Temperature-Calibration Probe features small diameter. Water/Soil Probes provide long-term temperature measurments. 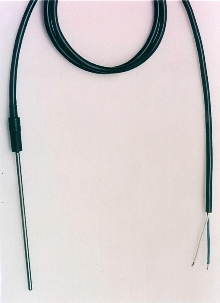 Spring-Loaded Probe provides non-slip connection. Series SMD offers tips designed for precision testing of surface-mount and high-density circuits. Model 8150 Micro Probe Kit contains 10 needle-point and cluster-point tips for positive connection to any surface. Probe features gold-plated tip; flexible silicone wire; and soft, comfortable handles. 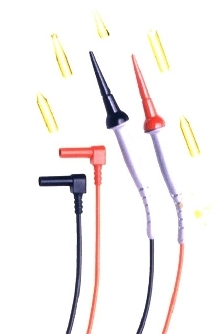 Micro Probe Kit is also available with retractable banana plugs (Model 8151). Probe offers entirely modular design. 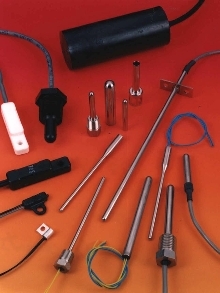 Temperature Probes meet custom sensing and switching needs. Ultrasonic Probes have self-cleaning transducers. Ultrasonic Probes, with 1, 1.5 and 2 NPT mountings, are insensitive to mountings and, with transceiver and smart signal processing, eliminate echos from tank walls, standpipes, and other buildups. 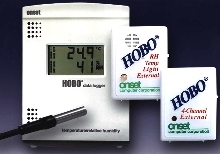 Built-in communication with PC allows storage of current output and temperature in data logger. 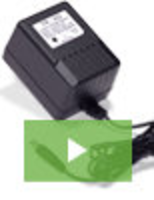 Probes connect to network using RS485 with company's protocol and Modbus RTU. 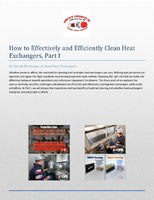 RTD Probes measure temperatures from -58° to 932° F.